The BF-888S is a full featured two way radio and hand held transceiver with long range capabilities up to 6km. Each radio comes with a charger, antenna, and everything you need to get started communicating conveniently at a long range, whether in a recreational context like camping or on site at your business. 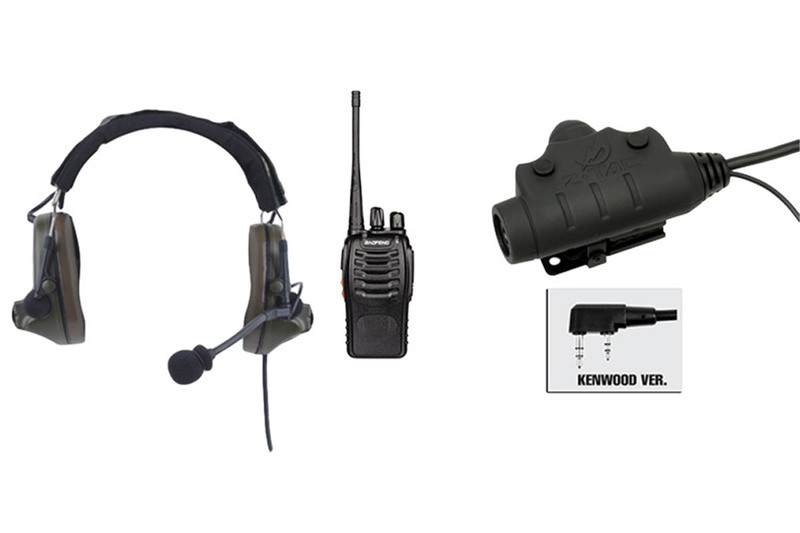 The BF-888S includes many perks that elevate it above an average Walkie Talkie, such as VOX (Voice Operated Exchange) which makes it unnecessary to push a button to talk. Its other features include a built-in high illumination flashlight and an emergency alarm. Included with the radio is a Z Comtac II Headset with active volume hearing to protect against loud noises, & a PTT Set to prepare you for your adventure.